In which cases does Citizen Science prove to be a profit in practice, where are the barriers, and what role can infrastructure facilities play? In the interview, Citizen Science Expert Dr. Katrin Vohland answers these questions and gives an account about ongoing projects, her assessment of future developments and the overlap with Open Science. Dr. Katrin Vohland is a Citizen Science expert at the Museum für Naturkunde Berlin (Natural History Museum). 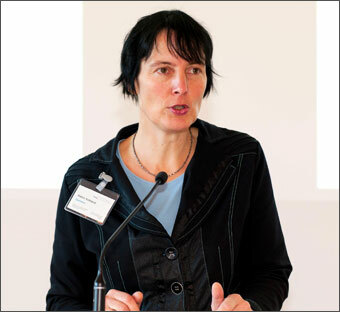 Among other things, she is part of the project management of the German Citizen Science platform “Citizens create knowledge” http://www.buergerschaffenwissen.de/en as well as Executive Chair of the European alliance ECSA (European Citizen Science Association). In the interview, she explains the role played by Citizen Science currently and in the future regarding the science system and shows the potentials involved in the participation of the civil society, but also what barriers remain to be overcome. What is your relationship with Citizen Science? I personally came to Citizen Science for the biodiversity research. We looked at how the voluntary natural science researchers can be better supported, and how greater transparency could be achieved over the existing portals. Some, for example the umbrella organisation of the German Avifaunists (DDA), have collected specific monitoring data, which can also be evaluated scientifically; in others, raising awareness for nature was more prominent. Some have provided tools for visualising the data, others have used the data to support nature conservation policy. Well, and then these activities were more strongly attested to the English term Citizen Science; and politics and funding institutions started to take interest. In my opinion, Citizen Science is an interesting approach to our knowledge society, and so, I’ve been happy to get involved in discussing the added value of Citizen Science not only for science, but also for other social areas; and to establish resources for carrying out Citizen Science activities. We have carried out these activities with various partners, in particular, in the dialogue project “Citizens create knowledge”, which has led to the development of a Citizen Science strategy for Germany, a manual for the implementation of projects and other resources. Overall, it can be said that the need for participation increases. We also take account of this at the museum, as we deal more intensively with participatory formats and, for example, in the EU project Doing-it-together-Science DITOs, with which intensity Citizens can and want to be involved in – as visitors of events or as participating researchers in the sense of Citizen Science. 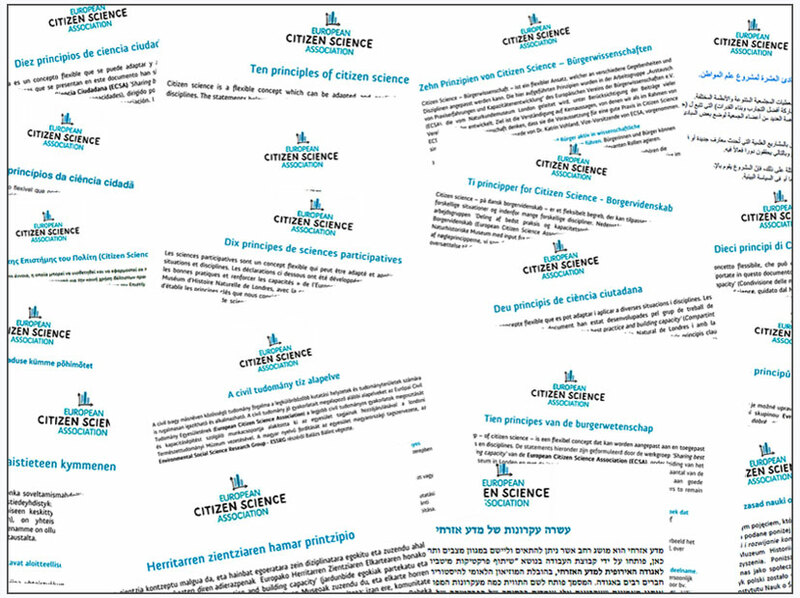 What is the German Citizens Science platform “Citizens create knowledge”? On one hand, the platform is based on the portals’ idea that the potential campaigners know what they expect when they want to participate in projects. As we engage the platform in dialogue with science, we can rely heavily on their communicative expertise. The website has developed into a central information platform, where projects are presented and resources such as films are made available. It serves to publicise Citizen Science in broader circles, for example, via newsletters (Link in German), competitions or interviews. An analysis of the projects (Link in German)on the platform has shown that not only a large number of institutions are represented, there are universities and non-university research institutions, as well as associations and even a TV channel as a project operator, but also a variety of natural, social and humanistic disciplines. Are there comparable platforms in Europe? In German-speaking countries, there are Austria research and Science|Cité. In the English-speaking international space, in particular, Zooniverse, SciStarter and the Citizen Science Alliance must be mentioned, but national platforms are also increasing such as Iedereen Wetenschapper in the Netherlands. In addition to the platforms, there are also international networks, for example, ECSA, but also CSA in the USA and ACSA in Australia. What are the advantages of Citizen Science? Citizen Science can offer many different advantages to the different players. Research can benefit from data that it cannot collect itself, from ideas to research projects to interpretation-based offers. Citizens themselves can benefit by gaining insight into scientific processes and participating in a discourse. Important incentives also include the possibility to learn and to do something meaningful and to spend leisure time with like-minded people. It should not be underestimated, however, that the benefits only come into play if all participants appreciate each other and that enough time and resources are planned for the corresponding communication processes. In your opinion, what role do infrastructure facilities such as museums and libraries play in Citizen Science? How can these institutions support Citizen Science? Infrastructures offer important resources. Libraries serve as a source of information to all scientists, as well as to the citizen researchers. Museums once again have a special role, since normally research and knowledge transfer are combined there based on the work regarding the various collections. Ultimately, the development of institutionalised science emerges from the science of the citizen. The Museum für Naturkunde Berlin (Natural History Museum Berlin), for example, built its collections on the activities of researchers who would have been described according to today’s standards as private individuals or volunteers, such as the noble research traveller Johannes Centurius Graf von Hoffmannsegg, the preacher Johann Friedrich Wilhelm Herbst and the physician Wilhelm Adolph Gerresheim. The collections from them and many other voluntary researchers form an important pillar of the collection treasures of the Museum für Naturkunde Berlin. At the moment, five specialist associations (Link in German) meet at the Museum für Naturkunde Berlin (Natural History Museum Berlin), to jointly conduct research, to carry out excursions, or to host specialist lectures. The professional societies benefit from the infrastructures, such as the premises, the possibilities to accommodate the collection, but also from online access to databases. And the museum benefits from the connection to various societal players and also from the intermediary activities of the professional societies, such as presentations and stands at the Long Night of Science. How do you see the relation of Citizen Science to Open Science? In the European Commission’s Open Science strategy, which is fundamentally strongly oriented towards large-scale scientific infrastructures, Citizen Science is to play an important role, particularly as a link to society. On the other hand, the Citizen Science community benefits from many technical developments at the level of Open Science, which facilitate, for example, the storage and collaborative analysis of data. In addition, the communities share similar values: Open Access is an important slogan of the Open Science Community and is also reflected in the principles of good practice in ECSA’s Citizen Science. The development of the altmetrics also comply with the Citizen Science activists: It is becoming increasingly possible to refer to data sets and not only to complete papers, and most Citizen Science activities take place in the data collection phase. In which stages of research is the involvement of citizens particularly useful? How are the experiences so far? The fact that most of the activities take place during the data collection phase is no accident: There are established workflows here, including quality assurance, and various surveys among citizens also show that they see themselves strongly in the role of data collection. Another important phase is the development of the questionnaire. The closer the scientific question is to the direct life reality of the participants, the more important this is, for example, in the context of sustainability research. Here, the Citizen Science community can benefit greatly from transdisciplinary research, which has developed methods for involving various stakeholders. In this area, there are overlaps, for example, to action research, whose claim is also the improvement of the respective living conditions. Frequently, citizens are involved in the evaluation, especially in the case of digital projects, which are partially about pattern recognition. There are fluid transitions to crowdsourcing or even gaming, in which the parties involved sometimes do not realize that they are producing research data. Citizens are less often involved in the development of concrete project design and communication. Whether this is meaningful or not depends on the concrete questions as well as on the competences, interests and resources of the participants. Which projects would you consider particularly outstanding? One of my favourite projects is diving for nature conservation (Link in German). Here, two communities, namely divers and conservationists, who do not necessarily form a unity, have come together. The divers have worked themselves into the topic of the plant life of the clear water lakes and now contribute to the monitoring of these lakes. The project has also received some awards. It is also fun for me to be out with Orion, our entomological specialists at the museum; and I am impressed with what knowledge and commitment they contribute to the knowledge and protection of insects. I also find the activities of the Action Münsterland (Link in German) very exciting. This was one of the first universities in Germany to deal strategically with Citizen Science – universities that are now a strong part of the regional development through projects that are conceived together with citizens. What do you think are the biggest barriers to Citizen Science in Europe? It is not easy for scientists to do Citizen Science projects because there are few recognition mechanisms. Some even report that it has a negative effect on their standing among colleagues. And de facto, it is also necessary to at least invest time in order to build up a Citizen Science project, to maintain it and to operate with appropriate feedback to the stakeholders. How do you address these barriers with the ECSA (European Citizen Science Association)? ECSA is a European association, which now has more than 200 institutional and personal members, which is dedicated to the strengthening and scientific support of Citizen Science. I think an important aspect in breaking down barriers involves positive examples that show how projects can work. What is more, trust in the procedures plays an important role. The principles of good practice of Citizen Science, which emphasize the fact that it is about real science, i.e. the generation of new knowledge, but also demands on the kind of cooperation between the participants are now translated into 26 (!) languages. In addition to the website and newsletters, ECSA offers the networking opportunities for the players. The first international ECSA conference in 2016 in Berlin has shown the great potential in Citizen Science. Here, the science was very much addressed. We are currently planning the second international ECSA conference to be held in Geneva in 2018, which will focus more on the citizens. How will the Citizen Science landscape look in Germany or Europe in ten years time? I believe that Citizen Science will be a “normal” part of the scientific landscape. Since the idea of pursuing original research and taking care of one’s own concerns in a scientific manner is increasingly taken into account in school curricula, it will be more self-evident, to gather information and collect data in a structured way, and to evaluate this, especially with regard to sustainability. The Open Science movement will help to make this information and data more accessible. However, it should be considered that it is also partly about economically relevant amounts and therefore about competing interests – “open” in the context does not necessarily mean “free”. It will therefore continue to be important to distribute funds for research and research infrastructures through democratically legitimate channels, and the corresponding results will be accessible in a suitable form for the various stakeholders from science, society and politics. What are the most important scientific policy developments in the context of Citizen Science? Although Citizen Science is experiencing a major boom, it reaches only parts of society. There is a bias towards academically educated stakeholders. Citizen Science, however, opens up an important opportunity for social participation because we live in a scientific society. Under the keyword ‘Inclusion’, it is discussed not only in Germany, but also internationally, how disadvantaged social groups can participate in social processes through Citizen Science. This applies, for example, to educationally-deprived families and migrants, but also to countries in Eastern or Southern Europe. As part of the COST Action “Citizen Science to promote creativity, scientific literacy, and innovation throughout Europe”, we are investigating how these connecting areas of education, politics and engagement can function. The COST action is also an exciting tool for this, because these inclusion targets are part of the financing mechanism, especially with regard to geography, age and gender. This is closely linked to the questions of Citizen Science’s relationship to the Responsible Research and Innovation (RRI), as well as to the already mentioned Open Science approach. With respect to RRI, Citizen Science is partly supportive, because the relevant activities enable a large part of the population to participate in the scientific process. But on the other hand, the Citizen Science community must also deal with ethical issues, such as barriers to participation or data handling.